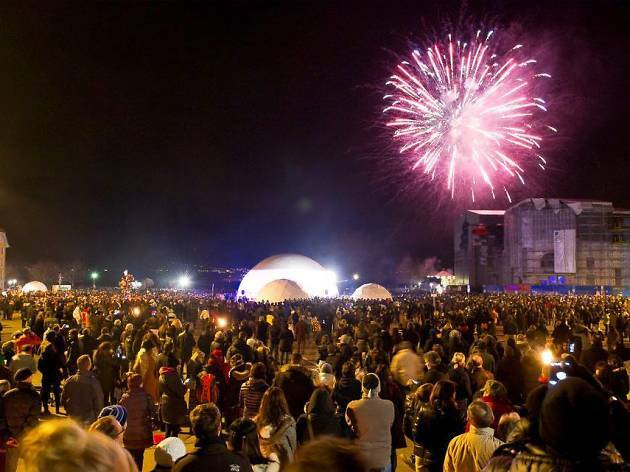 Vevey gets into party spirit for this New Year's Eve bash. 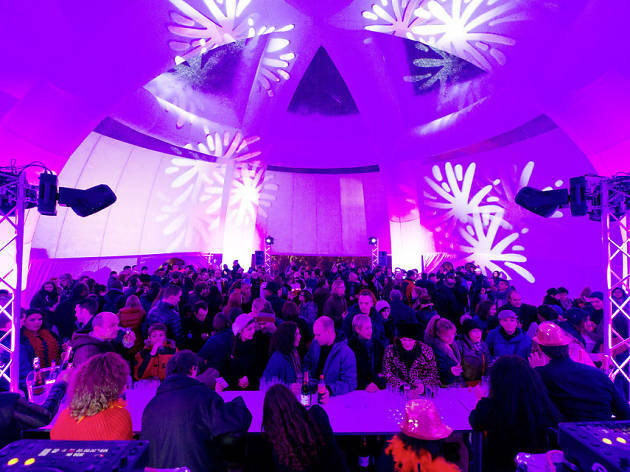 One of the most popular New Year’s Eve parties in French-speaking Switzerland is this affair in Vevey. 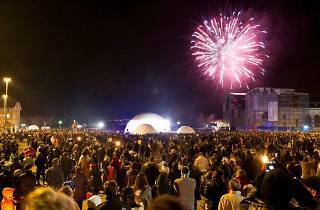 Last year around 10,000 people turned up to this rather small lakeside town to enjoy the entertainment. 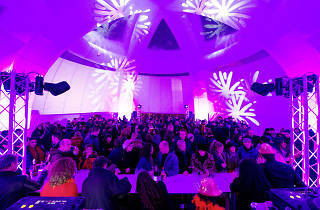 The main event is a party in a 600m2 heated tent in the Place du Marché, Vevey's main square, where you can throw some shapes to classic retro tunes from the 1970s to 1990s courtesy of DJ Othello (resident of Lausanne's MAD club) and DJ Smog (the alter-ego of Vevey’s finance director). Families might prefer to watch the torchlit procession or have fun on the outdoor ice rink, before everyone gathers at a quarter past midnight to watch the fireworks display held in the skies over the lake. Food and drink stalls help lubricate proceedings and fend off the cold winter air.